Home » Bowen » Can Bowen Help Me? Bowen is suitable for all ages from birth upwards and can be beneficial for all levels of fitness and health with treatments performed on a treatment table or sitting in a chair. It can be used to treat almost any condition and to maintain optimum health and also provide deep relaxation. 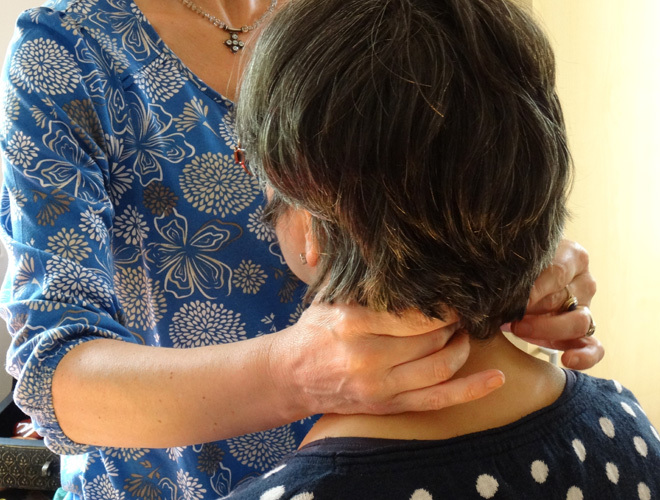 As a holistic therapy, Bowen is about treating the whole person rather than focusing on specific complaints or labels or becoming attached to a specific diagnosis. The therapist will select specific moves for each case according to intake information from the client. In other words, the focus is on treating the person with arthritis rather than treating the arthritis. Bowen is used to treat both acute and chronic pain and clients often come for help with a huge variety of complaints, such as sports injuries, repetitive strain injury, frozen shoulder, back pain and tennis elbow. Conditions such as respiratory complaints, recurring migraines, M.E, IBS, seasonal allergies and hay fever and asthma are all treated with Bowen. The list of complaints that can be treated with Bowen is endless. For example, there are also specific treatments for fertility problems, dyslexia, anxiety and depression. Please ask your Bowen Therapist about your specific condition. Bowen therapy is complementary to allopathic medicine and you must always seek medical advice from your doctor. There are no known contraindications. However, pregnant women are advised to wait until the second trimester of pregnancy, when Bowen is often used to treat sciatica and backache. Minors must have their guardian sign consent and the guardian must be present throughout the treatment.